KATONAH, NEW YORK – The Right Horse Initiative is thrilled to congratulate the 2019 AHP Equine Industry Visionary Award finalists, an impressive group of individuals and organizations whose contributions have positively transformed the horse industry. Staying true to the pioneering spirit of the award, the other three finalists have all recognized the need to improve equine welfare and have emerged as leaders in the field by being early partners of The Right Horse Initiative, a nonprofit collaborative to innovate and implement resources and services for at-risk horses that is funded by the WaterShed Animal Fund. Certified Horsemanship Association, an organization for safe, fun and effective horsemanship education and certification of equine professionals as instructors. 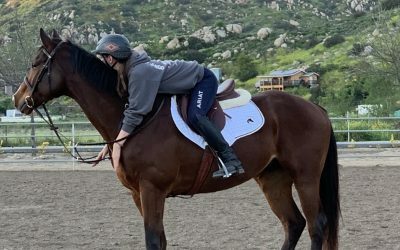 CHA has been instrumental in piloting ways to transition at-risk horses into trained, willing mounts for lesson, camp and therapy programs in partnership with Colorado State University and the Denver Dumb Friends League Harmony Equine Center. Dr. Tom Lenz, animal welfare pioneer and 2003 AAEP President. Dr. Lenz is a member of The Right Horse’s Veterinary Advisory Council, which provides critical insight and guidance to its programs and partners. Dr. Lenz travels the country advocating for equine welfare causes and speaking to students, veterinarians, professional groups and more. Monty Roberts, Founder, Flag Is Up Farms and Join-Up International, internationally known horseman committed to improving the traditional ways of treating not only animals but also the people around horses. Monty and his team have welcomed The Right Horse to Flag is Up Farms for events such as The Movement, collaborating to apply non-violent forms of communication and leadership and to help humans and horses live a better life. The Right Horse Initiative is a collective of industry professionals and equine welfare advocates working together to improve the lives of horses in transition through a dialogue of kindness and respect. Through collaboration with over 50 industry and adoption partners, The Right Horse is able to innovate new and better adoption standards and practices. Together, the goal is to shatter the stigma and reframe the conversation around equine adoption in order to massively increase horse adoption in the United States. To learn more, visit www.therighthorse.org. I am just in awe with this horse. My life has gone in a positive direction since we adopted this guy. We are incredibly grateful for him and everyone involved in his rescue and re-purpose.